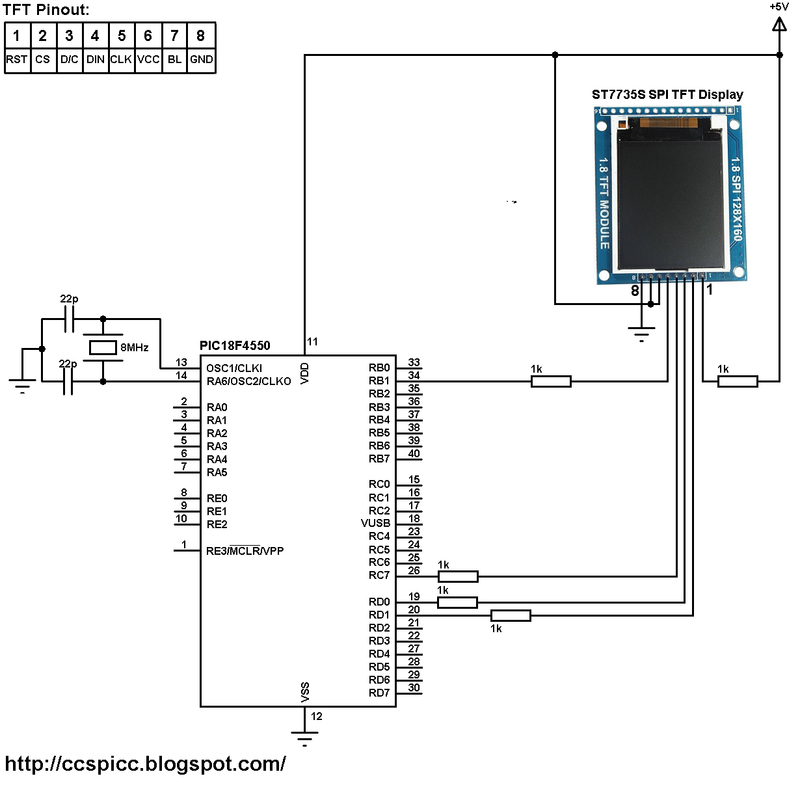 This post shows how to make the ST7735 SPI TFT display vertically scrolling using PIC18F4550 microcontroller and CCS PIC C compiler. The CCS C codes below are tested with versions 4.068 and 5.051. The circuit schematic of all our examples below is as shown in the following image. PIC18F4550 MCLR pin function is disabled in the code. _scroll_direction can be 0 or 1( 0 for to to bottom and 1 for bottom to top). That makes the TFT display area from pixel 40 to pixel 140 (160 - 20) scrolls from bottom to top. If TFA = BFA = 0 the whole screen is selected to scroll as shown in the example below. Where _vsp is an unsigned int8 number which controls the level of the scroll. Here TFT = BFA = 0. 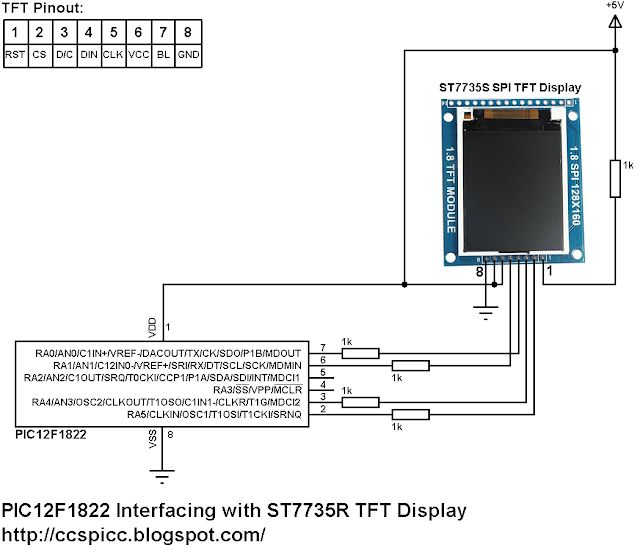 This is an other example for ST7735 TFT vertical scrolling. In this example the scrolling direction is from bottom to top. 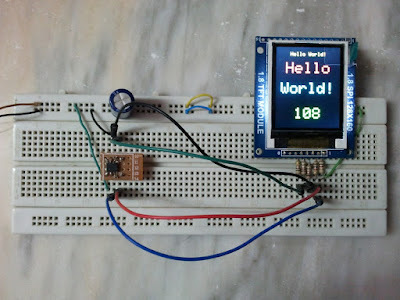 After every scrolling process the microcontroller deletes the data that may appear in the bottom of the screen by drawing a horizontal line. Our example circuit schematic is shown below. 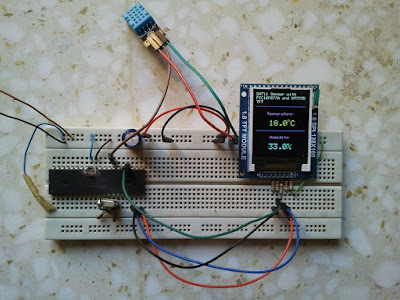 This post shows how to interface PIC16F877A microcontroller with DHT11 relative humidity and temperature sensor and 1.8" ST7735R SPI TFT display. PIC16F877A hardware SPI module is used in this project.. The code is has been tested with versions 4.068 and 5.051. 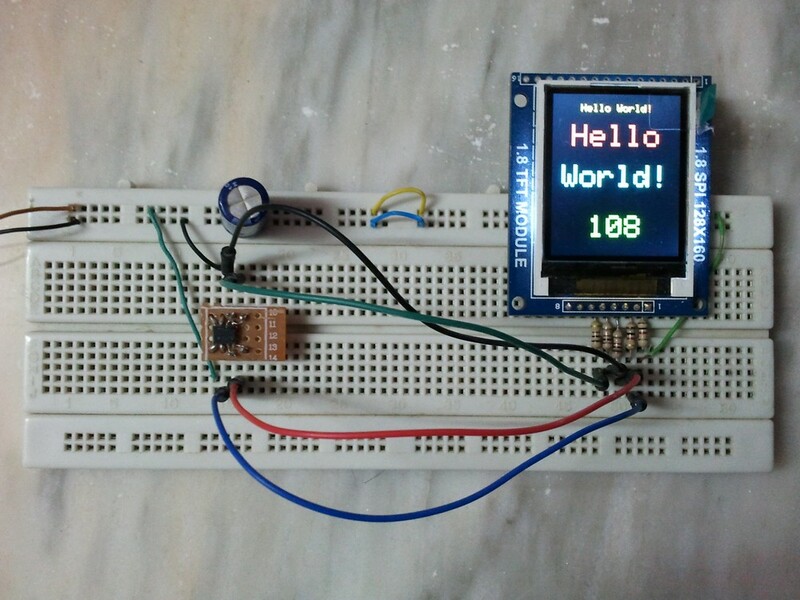 This video shows a simple hardware circuit of this project. 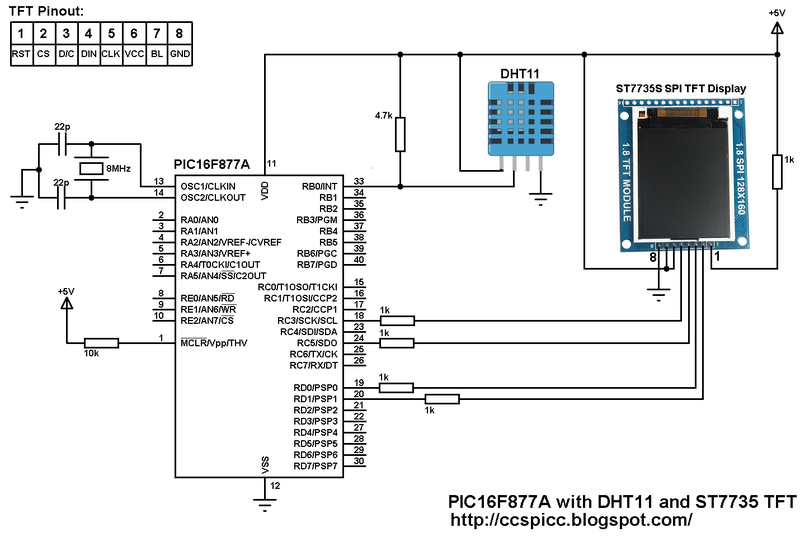 This small post shows how to start using PIC12F1822 DAC (Digital-to Analog Converter) module. 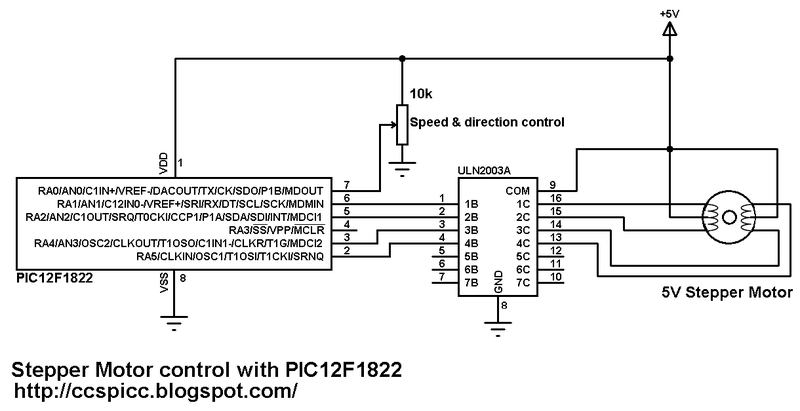 PIC12F1822 microcontroller has 1 DAC module. 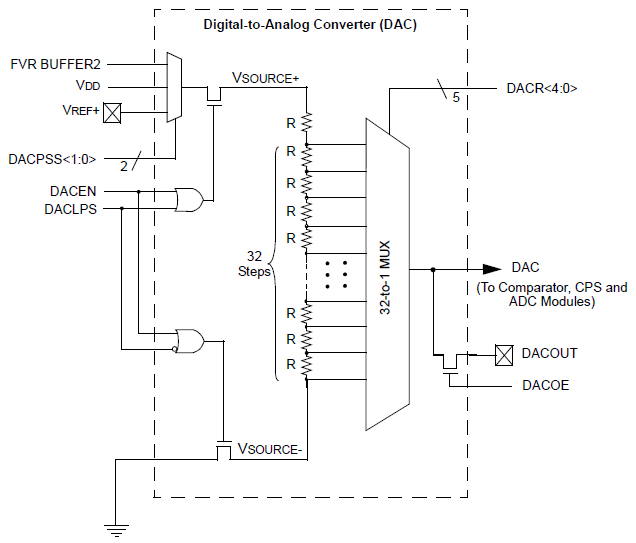 The DAC can be used to supply analog voltage on RA0 pin with 32 selectable output levels. The DAC output can be enabled using the following line which or'ed with above in setup_dac() using |. DAC_OUTPUT // Enable ADC output on RA0 pin. Where value should be a 5-bit number which varies between 0 and 31. The DAC 32 levels are set with DACR[4:0] bits which is done using dac_write() command. Assume that we've PIC12F1822 microcontroller with +5V power supply, the DAC is configured with VSS and VDD as negative and positive sources and the DAC output is enabled. Minimum Vout voltage when DACR[4 : 0] = 0b00000 equals to 0V. This is a small example for the DAC module. Example circuit schematic is shown below. PIC12F1822 internal oscillator is used. A potentiometer is used to control the DAC output. A voltmeter is connected between pin RA0 which is the DAC output (DACOUT) and the ground to see the variation of the voltage according to the potentiometer position. The following video shows simulation of our example with Proteus. 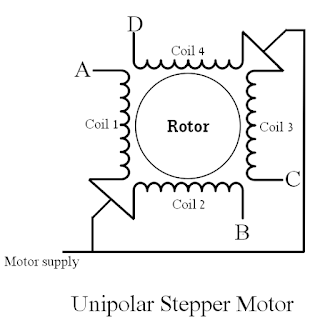 This topic shows how to drive 5V unipolar stepper motor in 3 modes one-phase, two-phase and half step. 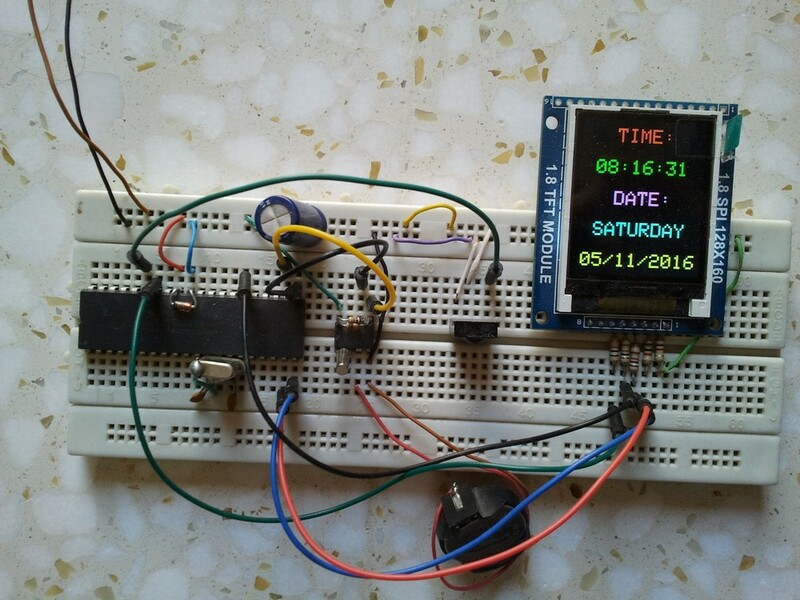 The microcontroller used in this project is Microchip PIC12F1822 and the motor drive circuit is ULN2003. All the three control modes have the same circuit schematic as shown below. Here PIC12F1822 uses its internal oscillator. 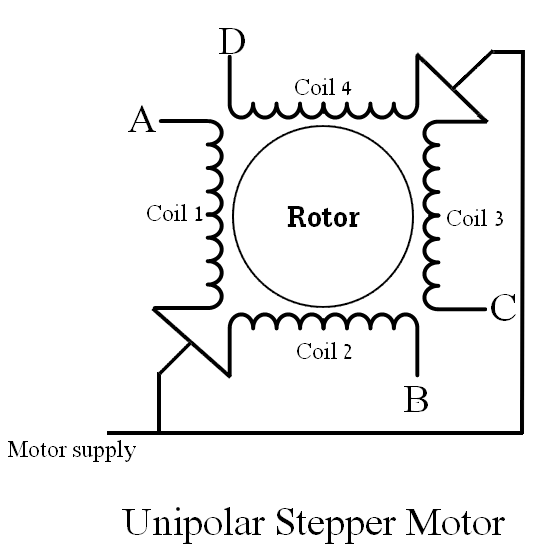 The potentiometer connected to AN0 is used to control motor speed and direction of rotation. This post shows how to interface PIC12F1822 microcontroller with ST7735 SPI TFT display using CCS PIC C compiler. In this project PIC12F1822 internal oscillator is used and MCLR pin function is disabled. 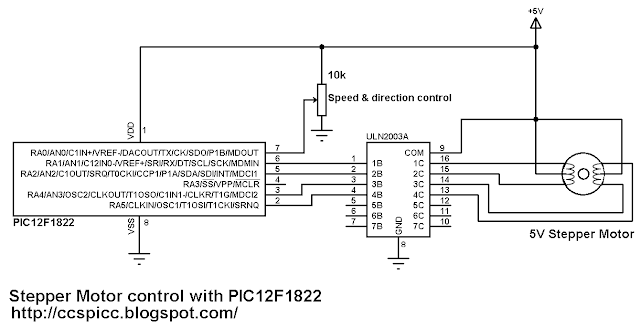 PIC12F1822 Has 1 SPI module, this module is used in this interfacing. The following line enables internal oscillator @ 8MHz and also the PLL which makes the microcontroller runs at 32MHz (8MHz x 4). 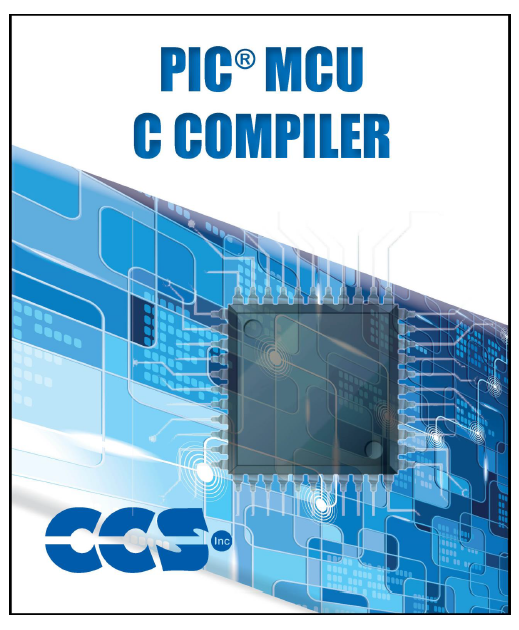 This code is compiled with CCS PIC C compiler versions 5.051. 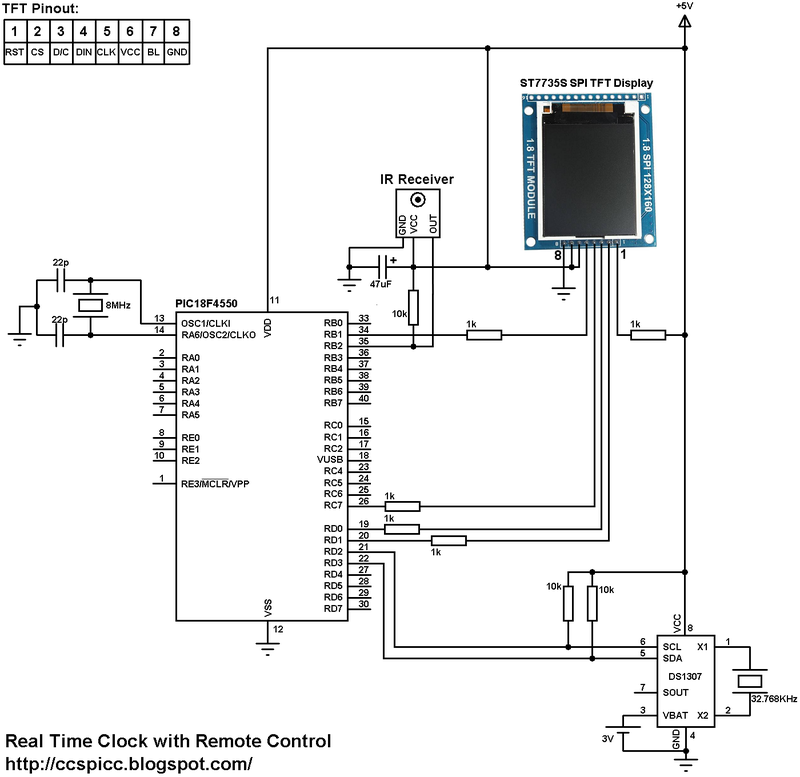 This project shows how to build a remote controlled real time clock with TFT display using PIC18F4550 microcontroller. In this project DS1307 RTC is used as a real time clock chip and the remote control is an IR (infrared) remote control which uses RC-5 communication protocol, this remote control is used to set time and date. The device used t display time and calendar is 1.8" ST7735R (ST7735S) SPI TFT display. Basically there are 4 states: Mid1, Mid0, Start1 and Start0. The following image shows our project circuit schematic where the microcontroller runs with 8MHz external crystal oscillator. and if for example the crystal oscillator frequency is 12MHz so we have to change PLL2 to PLL3 and so on. So DS1307 SDA pin is mapped at RD3 and SCL at RD2. Only 3 buttons are used and the rest have no effect on the circuit. 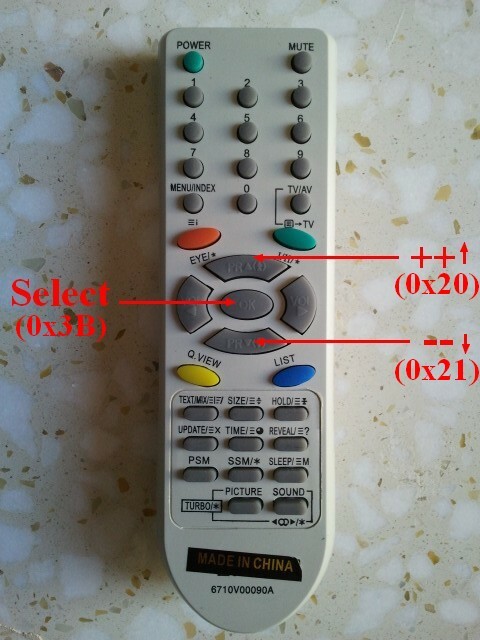 The button codes displayed in the picture above are the address and command codes combined together. The RC-5 code message is 14 bit long, 2 start bits, a toggle bit, 5 bits as address and 6 bits as command. For example select button which has an address of 0 and command of 0x3B which gives a 16-bit number of 0x3B (toggle bit is neglected). The toggle bit toggles between 0 and 1. Every time a button is pressed the toggle bit changes. 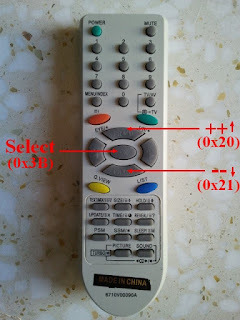 If a button is pressed and kept pressing the toggle bit changes only at the first time and the remote control keep sending the same code of the pressed button with the same toggle bit. From that I used the toggle bit to check if the select button is pressed again or kept pressing in order to avoid jumping from parameter to another and if you want to go from paramter to another you have to repress the select button. For the other two buttons (up & down) the toggle bit is not used in order to speed up the setting of the parameters. The output of the IR receiver is connected to RB2 pin which is external interrupt 2 pin. When the receiver receives an IR signal its output falls (goes form 5V to 0) which makes the microcontroller interrupts. When the mcu interrupts it jumps to interrupt routine ( void ext2_isr(void) ) and starts decoding the IR signal. Timer1 is used to measure pulses and spaces comes from the remote control. 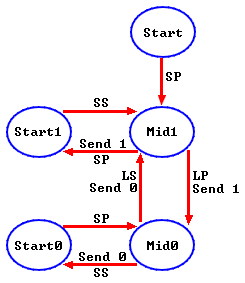 The microcontroller decodes the signal according to the state machine above. 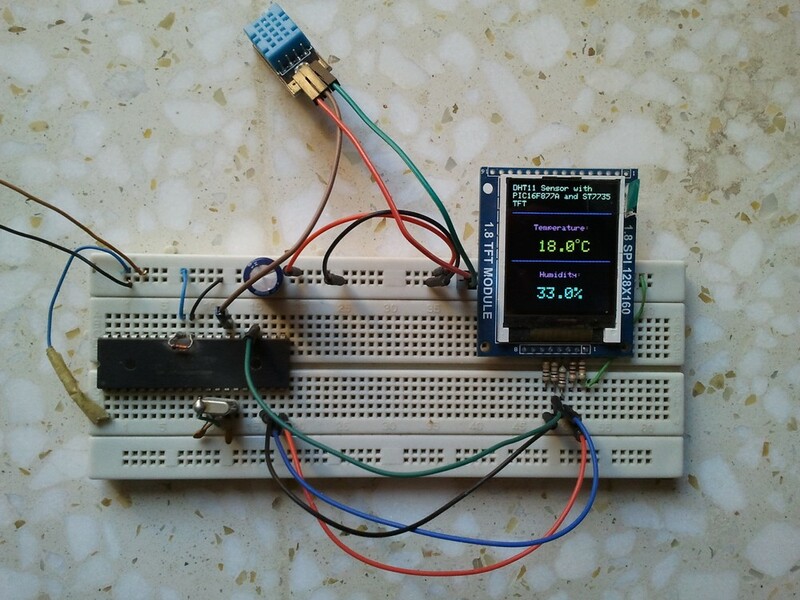 The interrupt is stopped during DS1307 reading or writing and also during sending data to TFT display. The following code is tested with CCS PIC C compiler versions 4.068 and 5.051.